Yes, You Know Bali. But Do You Know 10 New Bali? Where Is the New Bali? Bali practically has everything. By everything we mean “everything everything,” from pristine beaches to green mountains, beach clubs to taciturn temples, adrenaline-pumping waves to remote, soothing ashrams. In short, there are hundreds of reasons to visit Bali. Many tourists are craving to spend some time in Bali. 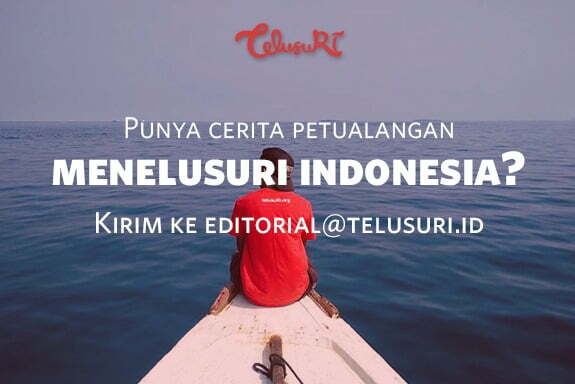 And many Indonesian tourist destinations are lining up to be the next Bali. It is the biggest lake in Indonesia. Standing on the shore, you’ll get the impression that you’re standing before an ocean. In the mornings the mist would float on the surface and linger around pine trees bordering the lake. Get a cup of coffee at a nearby cafe and you won’t ask anything anymore from life. The lake is situated strategically between Medan in North Sumatera and Padang in West Sumatera. So you can get there either from the north or from the south. But be ready for a long bus ride. It is a one night trip from Padang and five hours from Medan. In Tanjung Kelayang you’re gonna encounter beautiful beaches, giant granites, and incredible islands. Capture anything here with your smartphone and you’re gonna get a lot of likes. 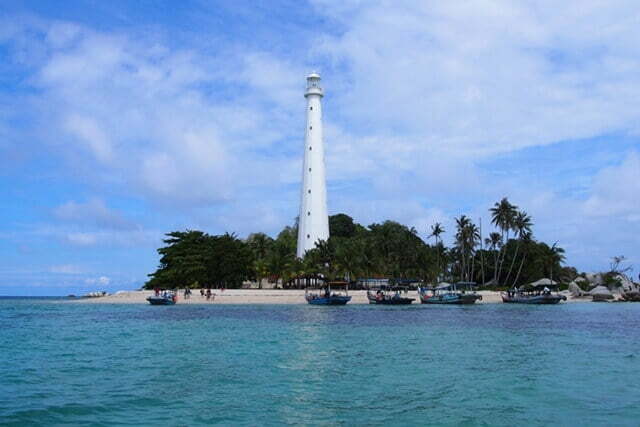 Yet, what people want to see the most is an old lighthouse in the small island of Lengkuas, from which you can get a 180-degree view of the surrounding beauties. It doesn’t take a lot of effort to go to the New Bali. There are direct flights from Jakarta to Tanjung Pandan in Belitung, every day. Another half an hour ride, you’re gonna be there. But if you’re seeking for an adventure, you can take the Pelni ship from Jakarta or go overland through Sumatra. It’s all up to you. The small island north of Halmahera in the Moluccas saw the frenzy of WWII. 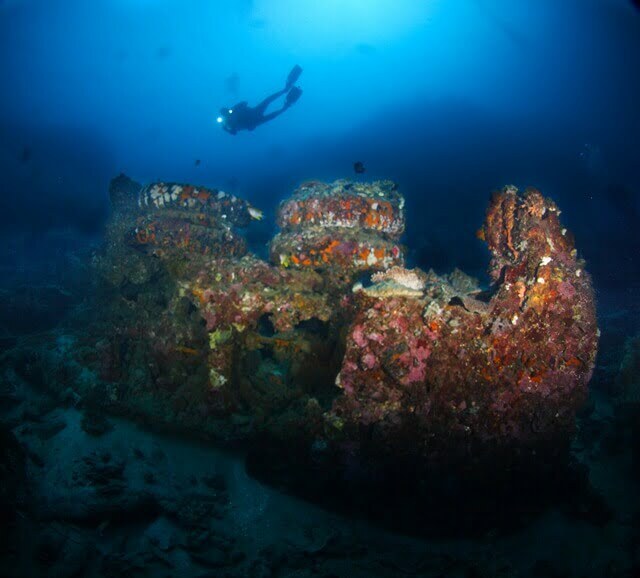 There are many ship and plane wrecks you can dive there since it was appointed as the headquarters of the allies in the early 40’s. There’s even a museum preserving the remnants of the war. You can get there by airplane with several transits, usually in Makassar and in Ternate. But if you have nothing but time, you can go all the way to the New Bali by ship. Sailing for a week in a ship will surely get you a lot of stories to tell. Jakarta was the capital of the late Dutch East Indies. Long story short, the colonial government was then overthrown and Indonesia proclaimed its independence. 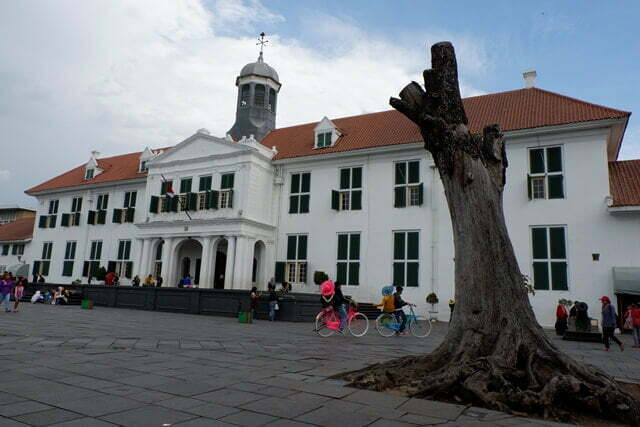 The remnants of the bygone era are still preserved in a part of Jakarta called “Kota Tua” or the Old Town. Only miles away from the northern coast of Jakarta, there is a group of islands renowned as Kepulauan Seribu (The Thousand Islands). The regency doesn’t really have a thousand islands though, only hundreds. But hundreds are enough. The islands are the perfect getaway for the Jakartans to escape from the restless city on the weekends. These two destinations are also promoted by the Ministry of Tourism as one of 10 New Bali. Built around the 9th century by the Shailendra dynasty, Borobudur in Magelang, Central Java, is one of the biggest Buddhist temples in the world. 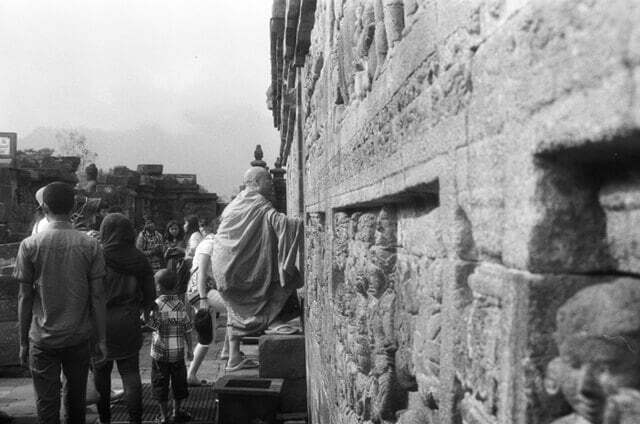 Since the day it was discovered by the British, Borobudur has been attracting millions of tourists. It is never quiet, except for the night. However, visiting the temple is not the only activity you can do around Borobudur. There’s a sunrise spot nearby (Punthuk Setumbu). There’s also a unique building called Gereja Ayam (Chicken Church) whose design looks like… chicken. You can also go rafting since there are two renowned rapids there, Elo and Progo river. Located in Banten, this New Bali is only 170 km away from Jakarta. At a glance, it looks like Nusa Dua, the cozy, luxurious area in Bali. There are hotels and golf course and many other things related to tourism and leisure. Interestingly, you can spot the legendary Mt. Anak Krakatau (The Kid of Krakatoa) from the coast of Tanjung Lesung. For aquaphile, it also has several snorkeling spots. If you are into fishing, Tanjung Lesung has many fishing spots where you can get a big catch! 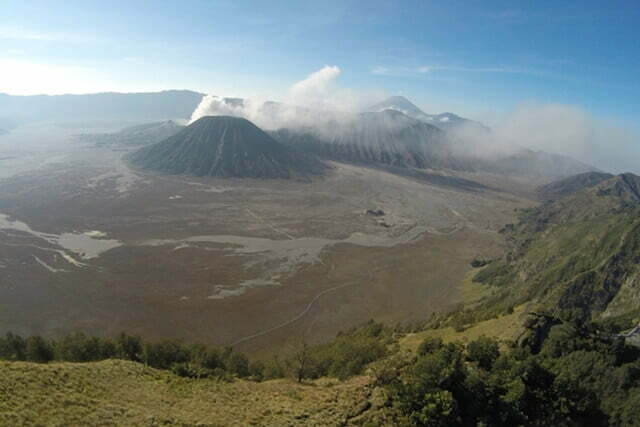 In East Java, there’s a national park named Bromo Tengger Semeru. Bromo is a volcano surrounded by the sea of sands, Tengger is the name of the highland, and Semeru is the highest volcano in Java. None of us, perhaps, has been to the moon. But you’ll get the impression that you are on the moon while entering the sea of sand of Bromo, East Java. Wherever you look, all you’re gonna see is sands. The grey, monochromatic sands. But it is what makes Bromo look amazing, contrasted with the colorful light of sunrise. Go to Pananjakan to see the sunrise. Beyond Bromo, you’re gonna see the towering Mt. Semeru. “Can I climb Semeru?” Yes, of course. If you want to see the last descendant of the dinosaurs, Komodo dragons, the first thing to do is getting to Labuan Bajo in Manggarai Barat Regency, Flores. From there, it’s only about 2-3 hour journey by boat to Komodo National Park. 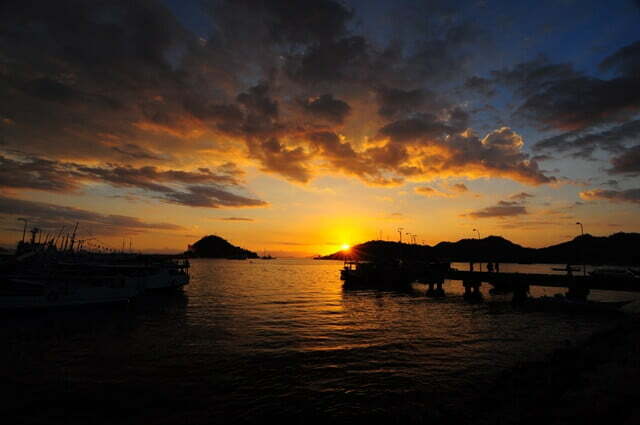 However, Labuan Bajo is not only about Komodo. 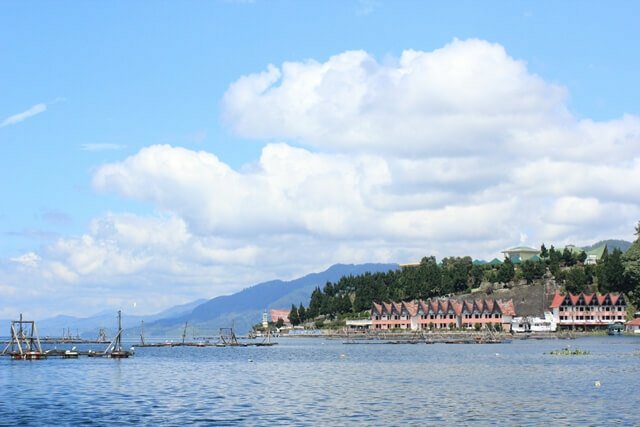 You can also do a lot of things there, from walking around the small town, exploring a cave, trying many kinds of seafood, or simply gazing the golden sunset from a cafe by the cliff. If you want to continue your trip to the eastern side of the island, to Lake Kelimutu perhaps, you can catch a minibus from Labuan Bajo. Actually, Wakatobi is an abbreviation for the name of the big islands constituting the regency, namely Wangi-Wangi, Kaledupa, Tomia, and Binongko. In the past, there are a lot of blacksmiths producing traditional weapon called keris around Wakatobi. But as years went by, the number of blacksmiths is decreasing. 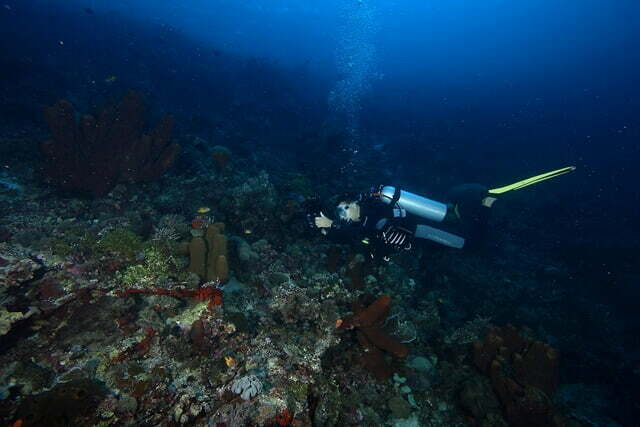 What makes these islands cool is that they are located in the World’s Coral Triangle. Guess what you can do there? Correct, scuba diving. So prepare your gear before going to Wakatobi in Southeast Sulawesi. But watch your step, this New Bali happens to be in a national park. Lombok has hitherto been the shadow of Bali. The tourists who want to get a break from the Island of Gods usually spend a week or two in Lombok. 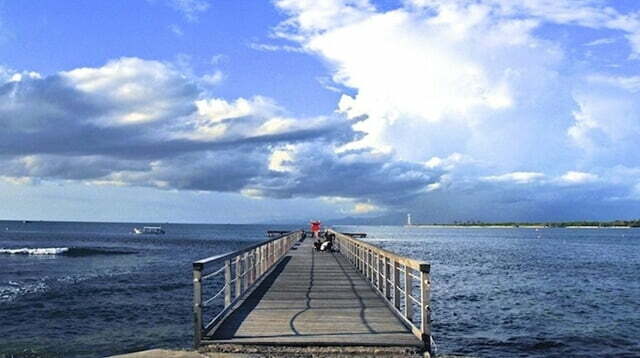 They go to places such as Senggigi, The Three Gilis, and a tourist area named Mandalika. 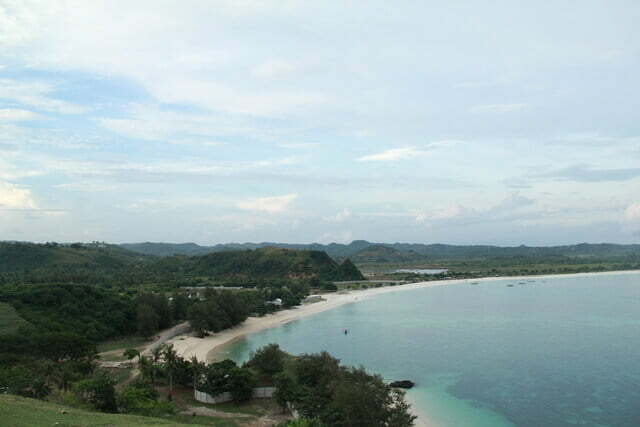 Mandalika consists of many beaches in the southern part of the island. Stretching for about 16 km in Lombok Tengah Regency, it includes famous beaches such as Tanjung Aan, Seger, Kuta, Serenting, Gerupuk, and etc. Once a year, there’s a traditional festival called Bau Nyale in Mandalika, on which the local people will go to the beach and seek for some kind of worm. Yes, you’ve heard it: worm. So are you guys interested to visit those 10 New Bali?